This wonderful image is about the dangers of DRM. It depicts a row of various devices (presumably iThings) over a black background. 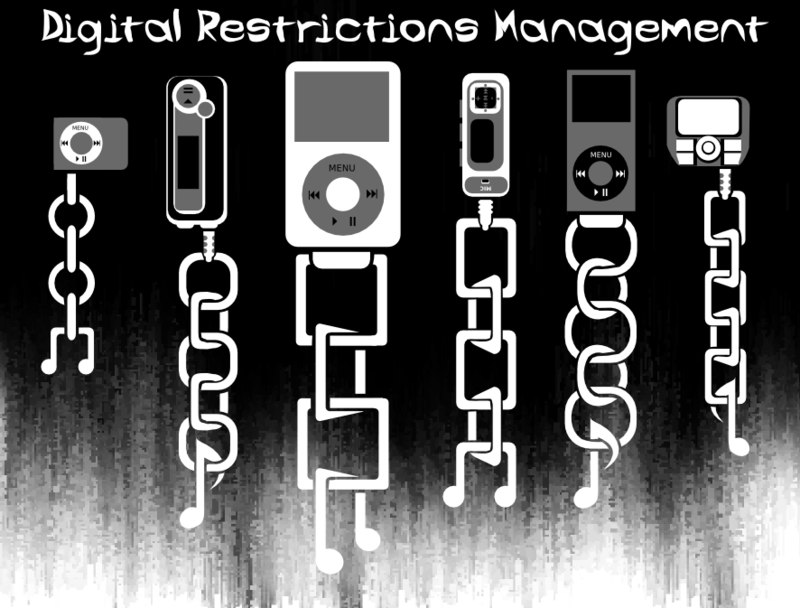 Music notes, held by heavy chains, are sadly hanging down from them, and “Digital Restrictions Management“ is written above. Chris also made this amusing alternative to the GNU Head, that of Stuart Langridge, a.k.a. “Aq”, free software developer and host of the former GNU/Linux radio show, Lugradio. These images are available under the Creative Commons Attribution-ShareAlike 3.0 License.